Let’s think for a moment. If terrorists dumped biological agents in a river that provides drinking water for thousands of people, it would spark panic, probably result in new laws, and the world would be horrified. If a disgruntled woman somehow managed to dump poison in her ex-husbands well water, it would be a criminal act. Outrage would explode over social media. But if drilling companies inject fracking wastewater into drinking water supplies, well, that’s perfectly legal, and government and industry officials insist it’s a harmless practice. No matter how many people report being able to light their tap water on fire because of fracking-related methane, no matter how many natural gas explosions ruin lives and livelihoods, and no matter how many people and farm animals get sick, there are always people willing to dismiss these concerns and call people crazy. Fracking contaminates groundwater, and a new study proves it. The lead author of the study is Dominic DiGiulio, a former Environmental Protection Agency (EPA) scientist. DiGiulio used public records and new water samples taken from an aquifer near the small town of Pavilion, Wyoming, to build on an EPA study abandoned in 2013. The EPA launched the investigation in September 2008 after Pavilion residents reached out to the agency to complain that their drinking water smelled and tasted foul. The EPA sampled domestic wells in March 2009 and January 2010, and issued a preliminary report in 2011. According to the report, chemicals used in fracking had leaked from unlined dumping pits into Pavilion’s groundwater. The EPA never finalized its findings and, predictably, the drilling industry contested the report. The agency turned the investigation over to the state of Wyoming, resulting in just more inconclusive reports. The EPA tends to downplay the seriousness of the damage caused by fracking, and agencies have blinders on when it comes to local pollution and the health problems caused by the practice, according to Rob Jackson, an earth scientist at Stanford and co-author of the study. Well, DiGuilio wrapped up the study that the EPA handed over to the state of Wyoming in 2013, and it’s now published in the highly regarded, peer-reviewed journal, Environmental Science and Technology, for all the world to see. The study finds that the town of Pavilion is a tiny chunk of a much bigger problem; DiGuilio says the findings suggest the entire groundwater resource in the Wind River Basin is contaminated with chemicals linked to fracking. According to EPA spokeswoman Julia Valentine, the agency hasn’t concluded its assessment that natural gas has no “widespread, systemic impacts.” She said the agency will evaluate all recent research, including DiGiulio’s. 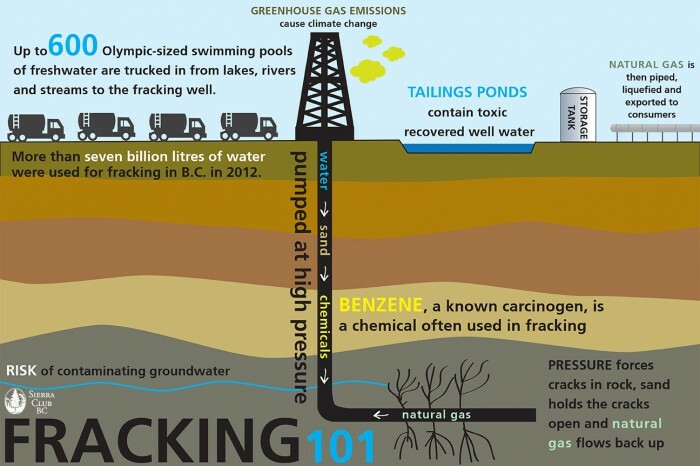 “Conducting a groundwater investigation related to fracking is extremely complicated. It is difficult because a lot of the compounds used for hydraulic fracturing are not commonly analyzed for in commercial labs. “When you look at everything as a whole, it seems implausible that all this is due to natural conditions. When you look at the compounds, it’s a virtual fingerprint of chemicals used in the field. How Long Has Hydraulic Fracturing Been Used? Hydraulic fracturing and horizontal drilling have turned unproductive shales into the largest natural gas fields in the World. The first use of hydraulic fracturing to stimulate oil and natural gas wells in the United States was in the 1940s. The method successfully increased well production rates and the practice quickly spread. It is now used throughout the world in thousands of wells every year. Government is trying to scare folks plain and simple.